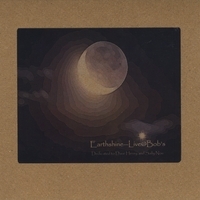 This is the first release by Montana duo Earthshine, featuring eleven of Kris's unique compositions. The album is self-produced but mostly recorded by Bob Brown of Billings, MT. Our immense thanks to Bob for his generosity, patience and recording abilities. Four songs from earlier sessions are included on the album as bonus tracks.